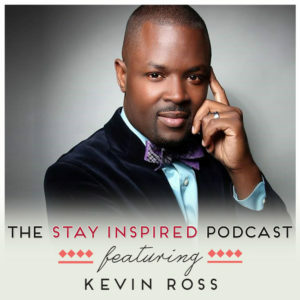 Today we are joined by Reverend Kevin Ross to talk about how to use faith to stay inspired, while creating a life that you deserve. Kevin Ross is a Senior Minister of Unity of Sacramento, a Morehouse College graduate, a senior fellow of the American Leadership Forum, and a three time delegate to the Parliament of World Religions. Kevin has received two humanitarian awards and has even appeared on Oprah! Kevin is committed to widening the margin of inclusion, silencing reckless hate speech, and building diverse coalitions for peace in our lifetime. In this episode, Kevin is talking about the power of having faith, surrounding yourself with good people, and the journey of discovering yourself. I think you’ll really enjoy Kevin’s inspiring and motivational message! What are 3 A.M. friends? Why you have to…. commit to the journey! What prices are you willing to pay?